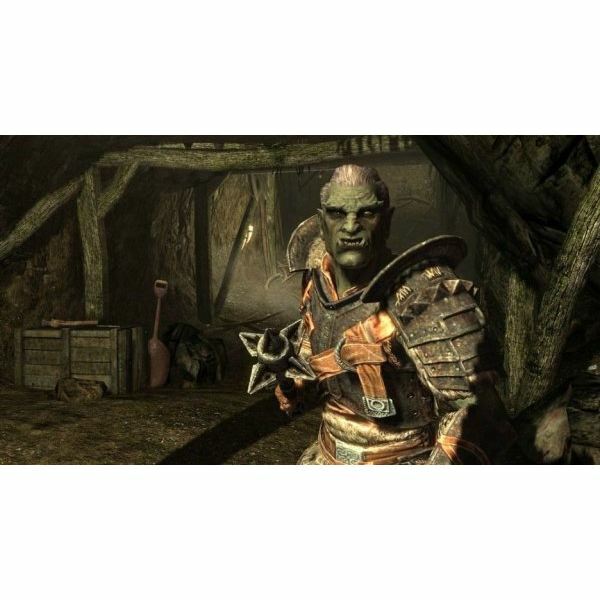 In the preceding Elder Scrolls games, there were a number of different weapon skills covering swords, maces, and etc of both the one and two-handed style. That is no longer the case. In Skyrim, the system has been simplified so that there are only two weapon skills: one-handed and two-handed. Specialization is not entirely off the table. The new perks system offers ways for both one-handed and two-handed weapon users to unlock special weapon effects for specific arms. For example, those who prefer axes can pick perks that give axe attacks a damage-over-time bleed effect. Weapon durability is now gone, as well. You no longer have to worry about repairing your weapons constantly, which is nice, and mainly served as nothing but an annoyance in the previous titles. All you need to worry about, then, is damage and weight. Damage is self-explanatory – higher number, higher damage taken by the enemy when hit. Weight is a bit more vague, but it expresses how difficult the weapon is to swing around. You'll quickly find that certain types of weapons tend to weigh more than others. Greatswords are often relatively light compared to warhammers, which are heavy and slow to swing. Finally, you can now dual wield. If you choose to do so, you will be using the one-handed weapon skill, and it would be wise to pick the one-handed perk "dual flurry" as soon as possible. What Weapons Should I Pick? That depends on your playstyle, and also the skills you level up. Leveling sneak, for example, gives you access to perks that will increase one-handed damage and dagger damage, so obviously those weapons will be preferable. In my opinion, the faster weapons tend to appeal the most to players who are likely to take a run-and-gun approach to combat. Fast weapons tend to fit these players better because it provides a better chance to dodge attacks and strike when an opponent’s block is down (if they have a shield). Slower weapons are often better for in-the-fray types, the type of warrior who charges right into combat. Having a big, slow weapon will ensure maximum damage on your initial charge and allow you to overwhelm enemies, even those with shields. Don't forget about bows. They're a great way to add ranged combat ability to a character who lacks much magical skill. Archery is probably more effective in this game than any previous Elder Scrolls title, thanks to some really good Archery related perks that players can obtain. 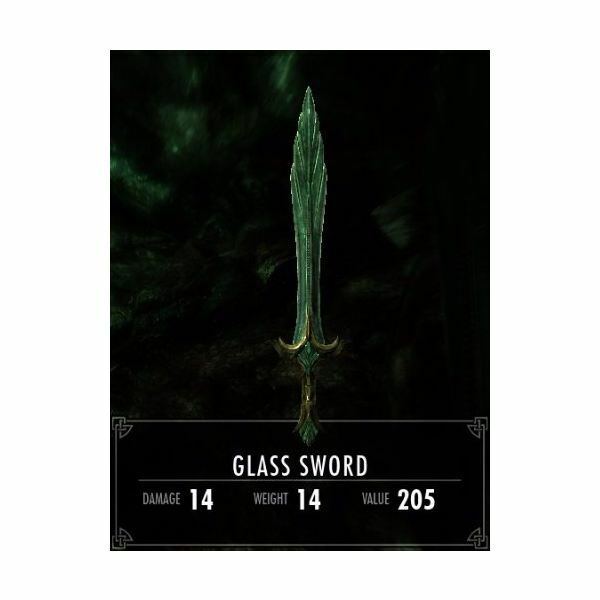 As in all previous Elder Scrolls games, weapons are broken down into certain "types" – the material they are made of. Here they are in order, from worst to best. Of course, there's more to a weapon that the material it's made out of. Enchantments, special stats and sharpening can greatly enhance a weapon's potency. With that said, however, the base stats of a weapon of a better material will exceed those of an inferior one. Armor in Skyrim, like the previous games, is broken up into Light and Heavy. There are new perks available for each of these skills, as is the case with every skill in Skyrim, but there is otherwise no major changes to how these armors work. Light allows for quicker movement but offers less protection, heavy slows you somewhat but offers a much better armor rating. Shields remain the same. They can be light or heavy, but as before, actually blocking with them is governed by the block skill. Like weapons, armor in Skyrim has no need of repair. It will always be ready to absorb a blow, no matter how often you've used it before. What Armor Should I Pick? You don't have nearly as much choice in armor as you do weapons. You can pick light or heavy armor, but once you do, there's not any skill perks that improve your protection if you are wearing a specific type of armor. There's also no equivalent to the "weight" stat found on weapons. So, you either wear light, or heavy. The choice here comes down to playstyle and should not be hard to make. Light is the armor of thieves and swashbucklers. It doesn't slow players down, so they can avoid attacks more easily, or simply flee when necessary. Heavy, on the other hand, offers massive protection. A full set of heavy armor will usually offer about twice the protection of a full set of light armor. It does slow you, but characters who pick heavy don't intend to run around. They just want to fight, toe-to-toe. Here are the light armor materials, from the worst to best. Here are the heavy armor materials, from worst to best. Take these as guidelines, however. There's a fair amount of one-off and custom armors in the game. Since there's only one stat the matters on armor – the armor rating – choosing the best available to your character shouldn't be too difficult. A collection of guides to armaments and melee combat in Elder Scrolls V: Skyrim.